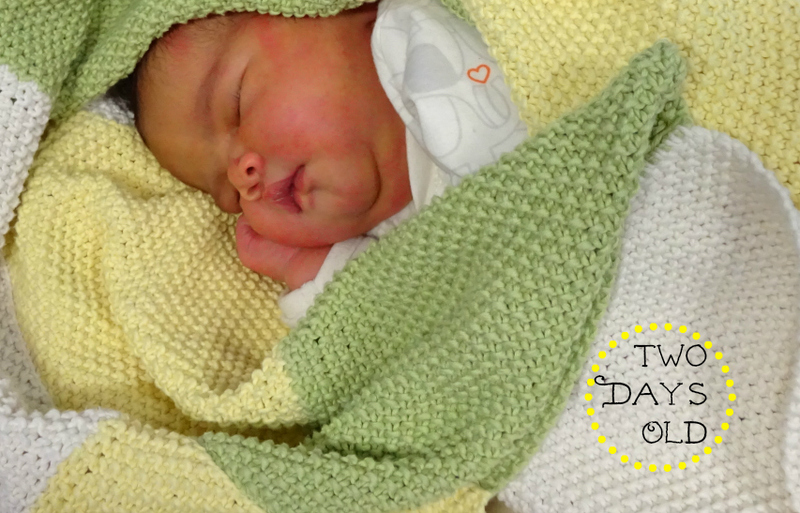 I haven't blogged nearly enough since my new baby arrived. Lots of things now, I can't blog about, as they're forgotten. I don't think I can blog authentically about the sleepless nights of the first 7 days as the rawness and teariness that would make the post meaningful, poignant and heartfelt has long since gone - Mother Nature is great like that. That's why, blogging as you go along is the ideal way, but I just didn't have the time or the inclination in those early weeks which is a shame as I know I would like ro read back over them. I would like my little girl to have records to look back over, for when she has her own babies and wants to compare their birth to hers. So I have the info to hand when she asks questions. Our memories aren't as good as we think they are. Blog posts OFTEN remind me of things I have forgotten. But I pledge now, to record more. To blog more. Week one. At two days old. I pick this one. It was the Bounty photographer who surrounded her in her blanket like this. None of the arranging woke her. 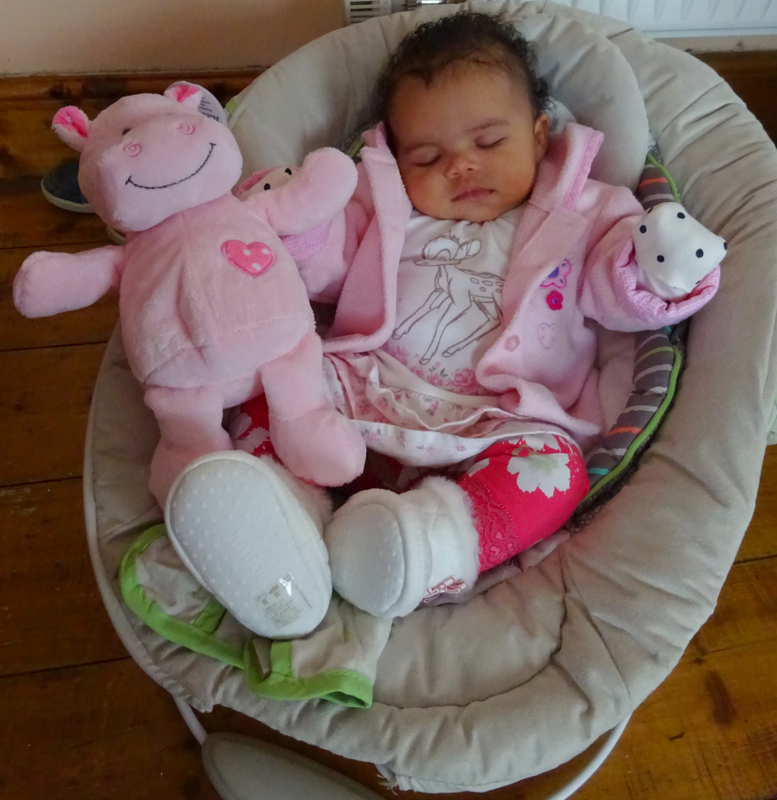 For the first few weeks my baby slept and slept and slept. So very unlike her brother. They've been inseparable since day one, brother and sister. The bond has only strengthened since and Aaron shows no signs of getting bored. The day she was born was a Monday. 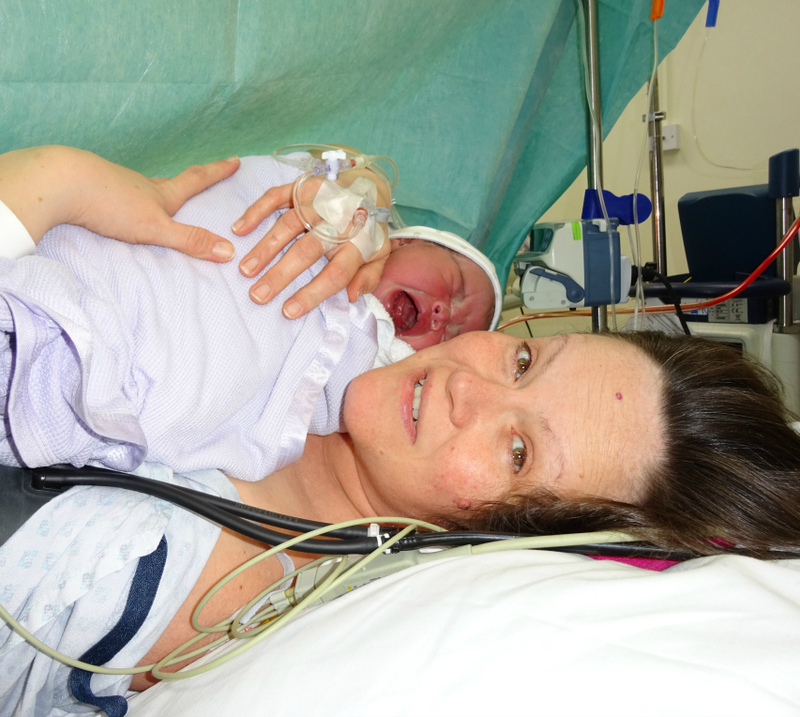 The birth was at 15:39 and we then spent ages in the recovery room. By the time we got to the ward it was touch and go with regards to visitors and I'd already missed dinner. But I pre-empted it in the recovery room and got Aaron & Grandma to arrive at the ward shortly after we were settled down there. I didn't want Aaron to not only go to bed without me, but also without SEEING me! It was the first time I hadn't personally collected him from school (thank you Grandma Mwaaah) and I was desperate to see him and for him to see the baby. 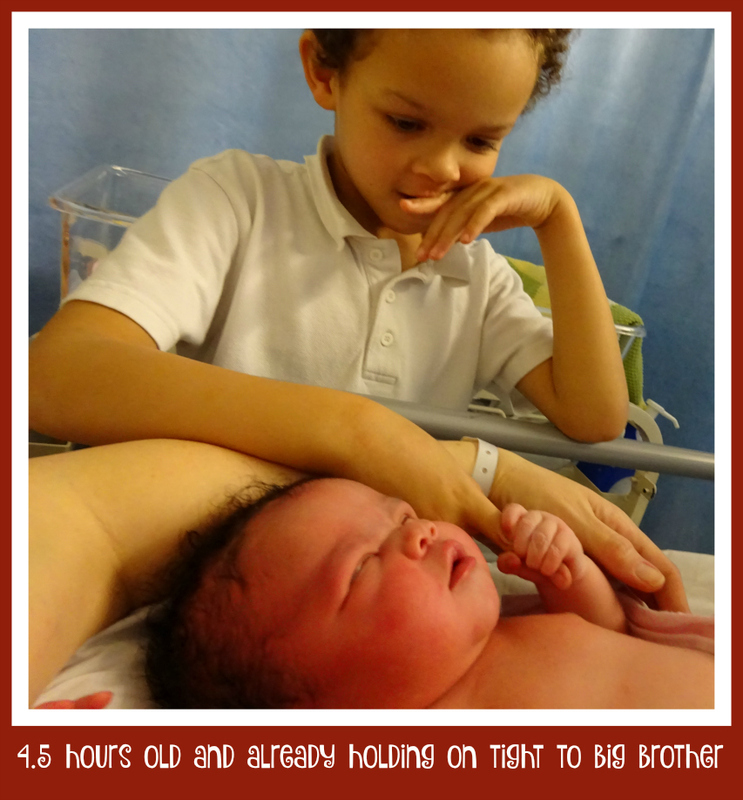 Moments like the below made their mad dash to the hospital for the last 30 minutes of visiting time so so worth it. Daddy took them home though *cries* so I was alone. As much as I would have loved Daddy to stay (you couldn't make it up actually, when he could with our first he wasn't allowed to and he we were in a hospital, with our second baby, where he was allowed to stay, but I wanted Aaron to have one of us home and they needed a lift back home anyway). 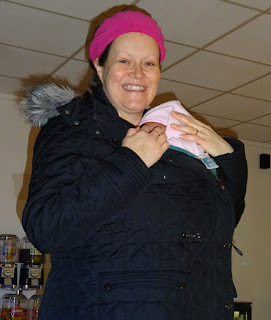 As hard as it was to say goodbye, especially when I couldn't move from the chest down and couldn't even yet raise my knees, it was for the best as we did skin to skin all night which I feel really established breastfeeding. Actually I feel it takes 6 weeks to establish it fully but that got us off to a confident start (but more on that in another *soon to come* post as it got worse before it got better). Her face was very large and swollen in those early days, as you can see above, but it is because for the final few weeks in utero she was upside down and engaged. If you did a headstand for over 3 weeks I am sure blood would rush to your head too LOL. Given her perfect engaged position it's almost a shame she came out the sunroof hey! But at 10 lbs 10 oz I think it was the best laid plan and thankfully WAS a planned c-section unlike last time where I had a natural active labour for 18 hours and THEN a c-section. I would say this was more straight forward, but just like Aaron was 8 days late, the c-section was postponed from 21st January to 25th January. So even plans, like nature, can be delayed. 25th was definitely meant to be as all the anxiety I had about 21st disappeared once they postponed the appointment, literally like a cloud lifting. I was released from hospital Wednesday 27th after having the lil lady on Monday. Wednesday we arrived home very late as getting out of hospital took ages. 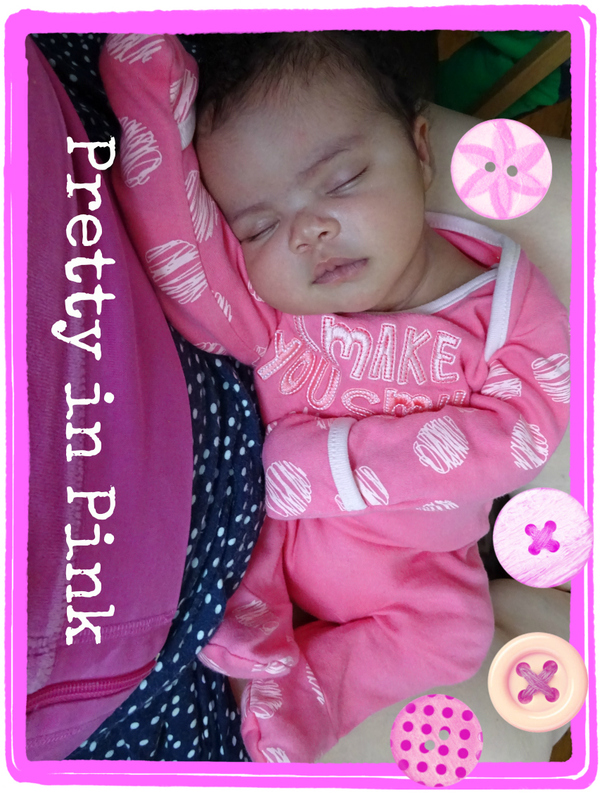 Thursday and Friday hubby did the school run and I rested in my PJs with my gorgeous girl. Saturday and Sunday though, I had this "loneliness" thing. Something I also encountered after having Aaron. So when hubby tried to go to the barbers on Saturday the whole family had to go too no matter how long it took to get baby ready. So off we went. We were out for about 4 hours and baby slept in the sling the WHOLE time. Unbelievable. But if I remember rightly it was her first time in it. Sunday hubby wanted to go to the shops to get my birthday present and same deal I was overcome with panic at the thought of being home alone. So off we all went. Week two. This week began badly. On my birthday the husband returned to work after paternity leave. 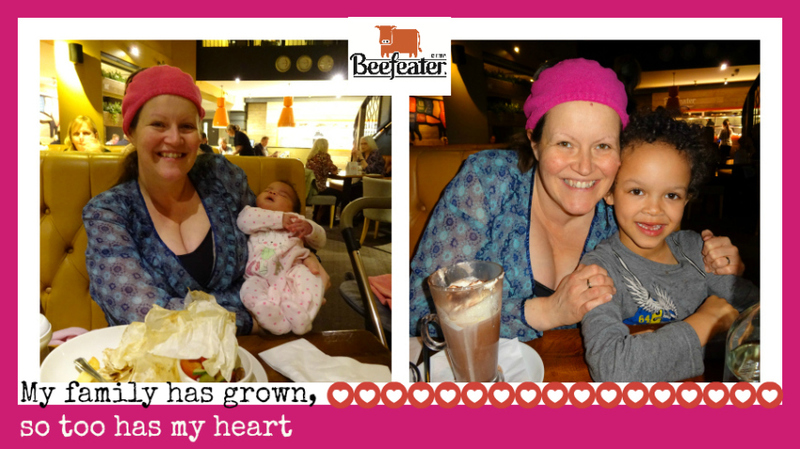 I was bereft on the Sunday night and Monday morning and it was like deja vu a hark back to being a new mum with Aaron. I did my first school run alone, on foot and finally, I discovered I had a nasty urine infection picked up from hospital. 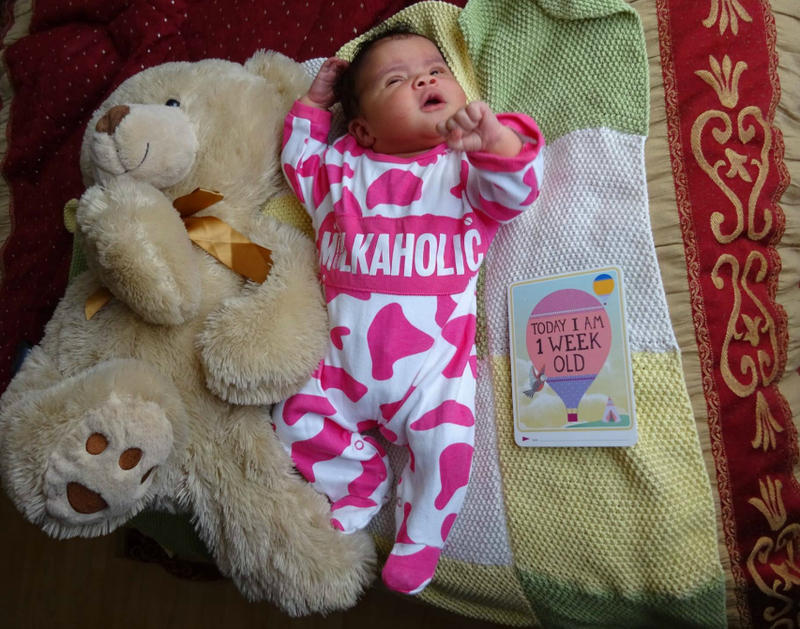 So Monday morning this week sees me visiting the midwives in floods of tears. But it was onwards and upwards from there and took 3 courses of antibiotics to get better. But it wasn't all bad as he was off a few days later, the same week, so we did celebrate my birthday in style after all with a fabulous family meal at the Beefeater. 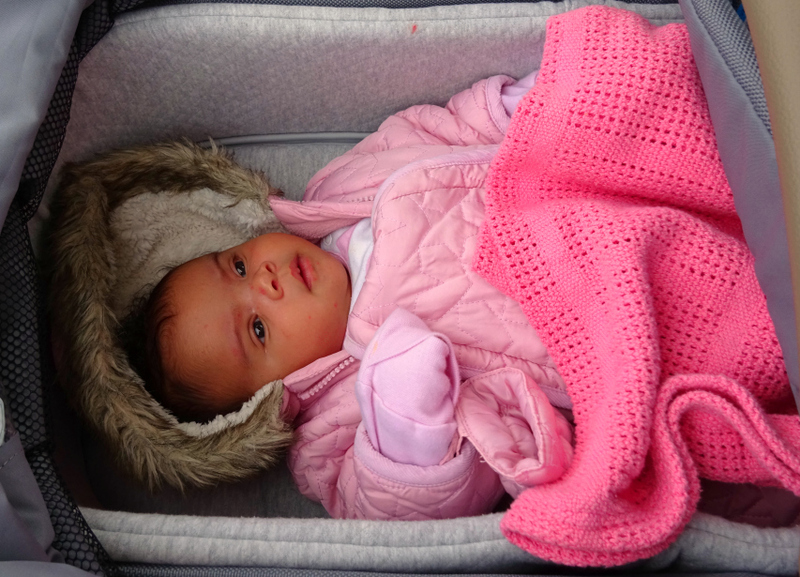 Baby was only 8/9 days old but she was fine and slept in the pram mostly. 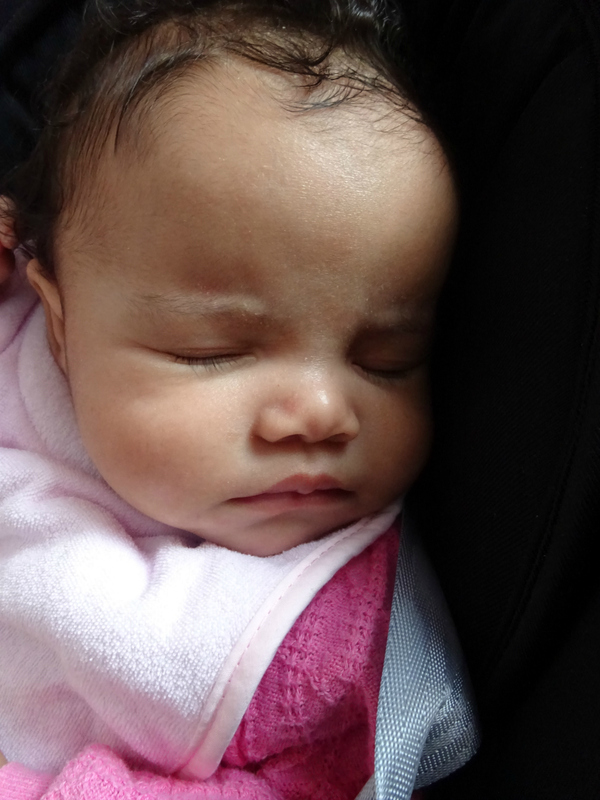 I wasn't confident breastfeeding outside then so she guzzled from a bottle a few times during the meal. Week three. This week there are a few contenders for pics but I will pick these two. 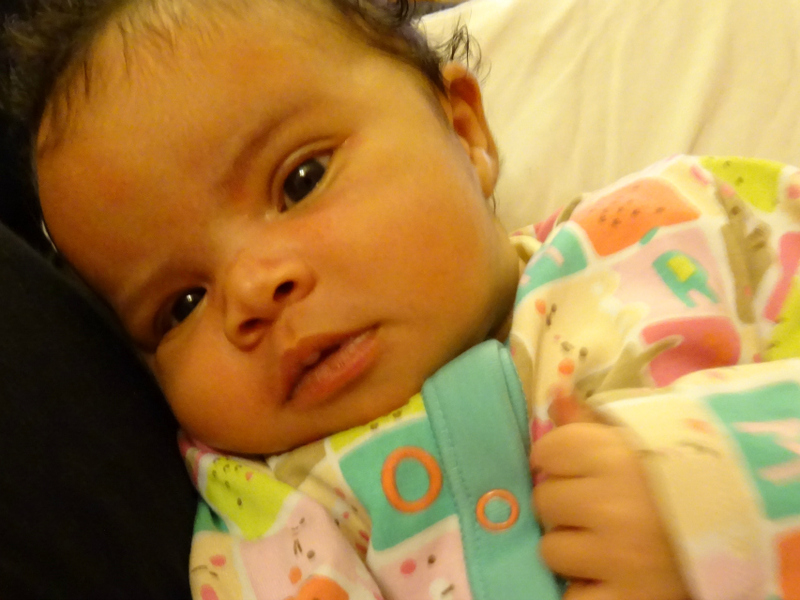 As you can see the swollen face/head has long since gone and my lil lady's personality now shines through her face. Showing herself to be the girl she will become. Week five. 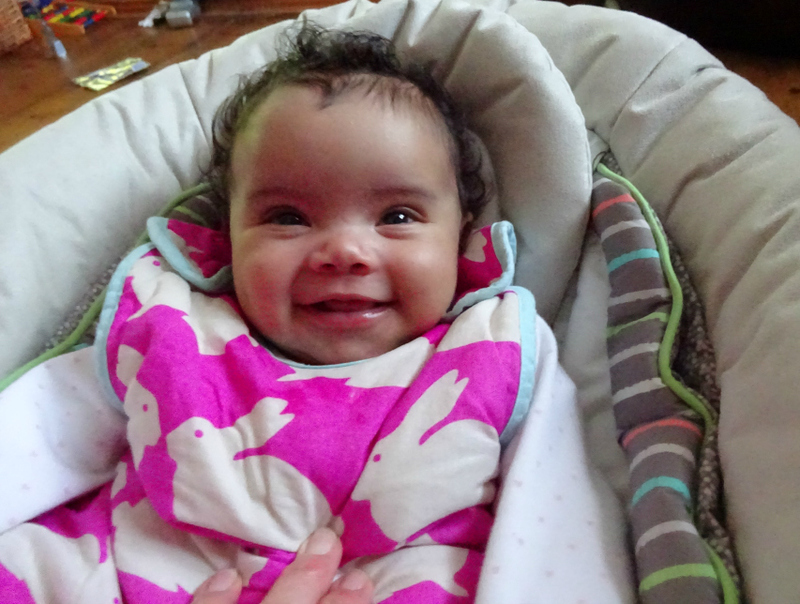 It felt like she smiled from the very beginning oh her life thus far but it was the weekend of week 5: 26th/27th/28th February that her smiles became BEAMS and could be done on demand in response to someone smiling at her. (My best friend, her husband and her son - Aaron's best mate - were here for the weekend that weekend and my BFF was blessed with lots of smiles from my baby girl). 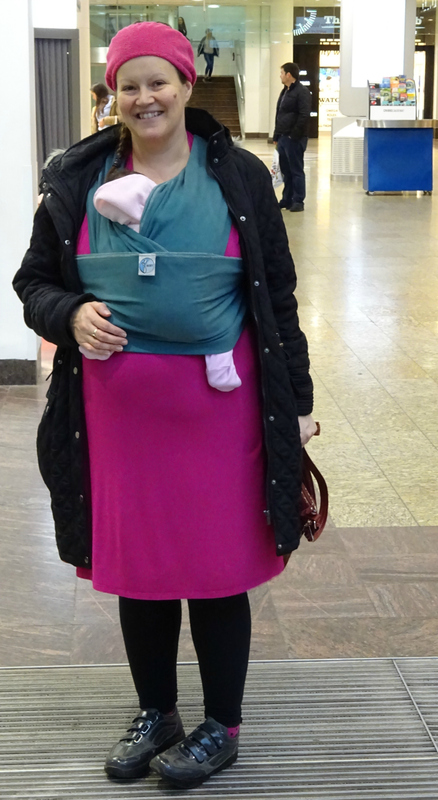 Actually, a couple of days before, at the Thursday breastfeeding group, I saw similar but did not capture it on camera. Whenever we are in the kitchen Aaron follows, always taking a keen interest in whatever is going on. He will run and get anything and everything he is asked to get and ten weeks in the novelty shows NO signs of wearing off. I am thrilled with his helpful spirit and love for his sister. So far so good. 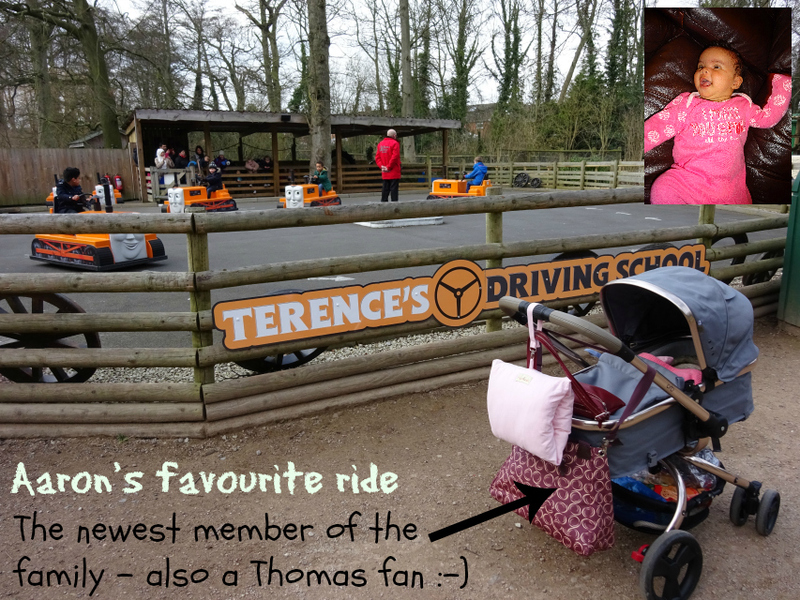 Whilst the friends were here for the weekend, we went together to a VIP event for bloggers at Thomas Land meaning the lil lady experienced her first long car journey and she was as good as gold. Week six. Heart melts. She only has eyes for him, as below. The above picture doesn't capture the whole scenario but I clearly do get it on camera below. She will literally look behind her if she hears his voice, turning her head left and right as he moves. She only started doing that with my voice during the Easter hols. She's done that in response to Aaron more or less since day one. 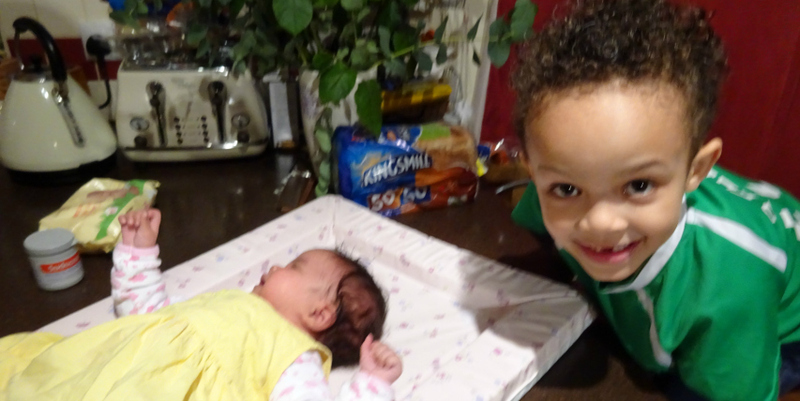 I'd say the feeling is mutual judging by Aaron's interest in his Sister. 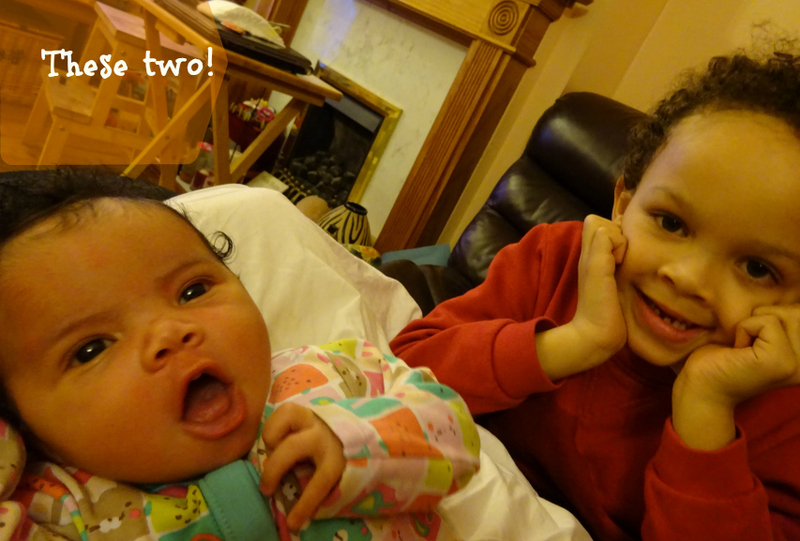 Sibling love (not yet rivalry) is so so lovely. I didn't know I would be blessed with these moments so early on. I hope he still loves her when she is old enough to play with. It's difficult as I fear his playing days may be over by then, but I think he'll always make time for her. For many other reasons, the age gap HAS worked well for us. Week seven. A lovel morning picture still in her Kissing Rabbits 2.5 tog Anorak Gro Bag from the night before. But not everyday though. 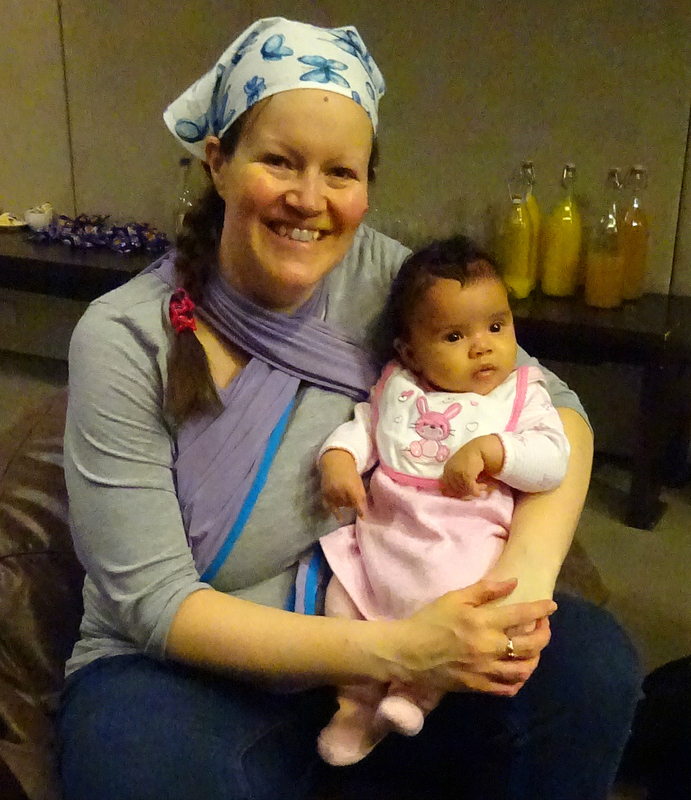 Here she is at Aaron's Easter school performance (concert) snug in a Next sleepsuit and being very well behaved throughout. Fab as it meant she did not disturb the students/performers or parents/audience in the school hall and it meant that I could record/video the whole thing. Week nine. Love these ones. 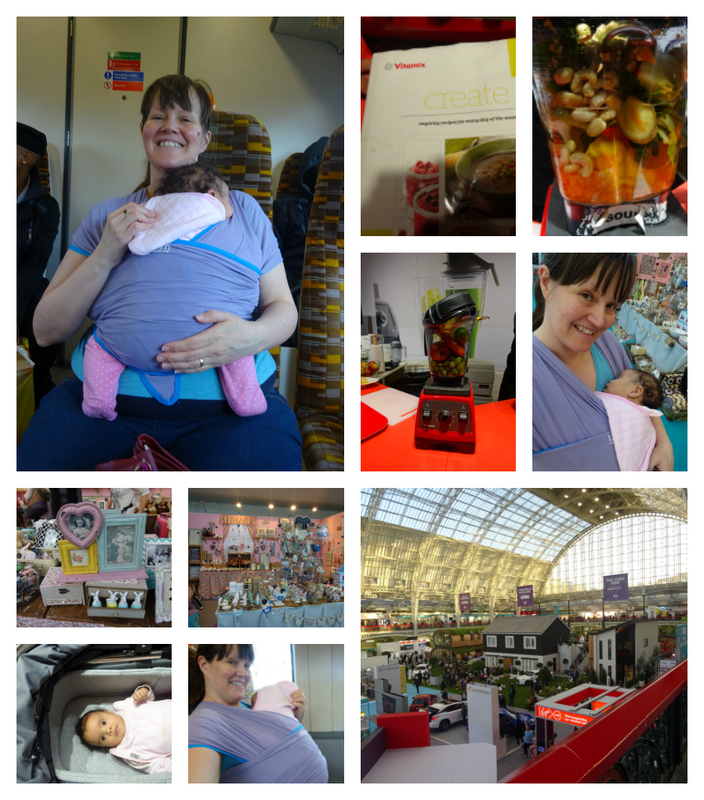 Week ten, we also went to the Ideal Home Show. Baby, me and her Godmother, my niece. Thanks to seeing a tweet about it, I got complimentary tickets courtesy of British Gas. Thank you British Gas, and yes I did get a picture on your stand :-) This was the closest I got to Wilbur as it was on the way out and he'd already gone home. 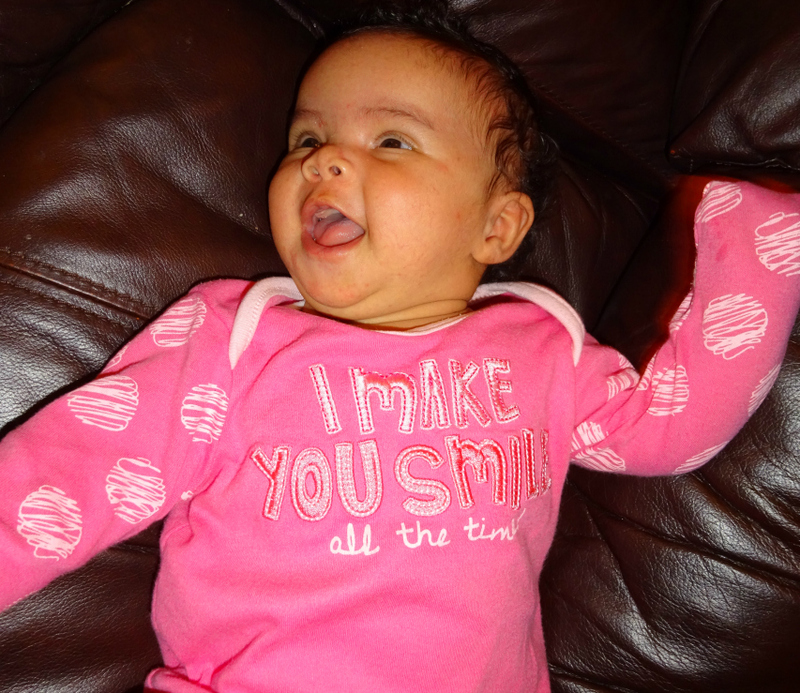 My niece saw your stand on the way in, but somehow I didn't. 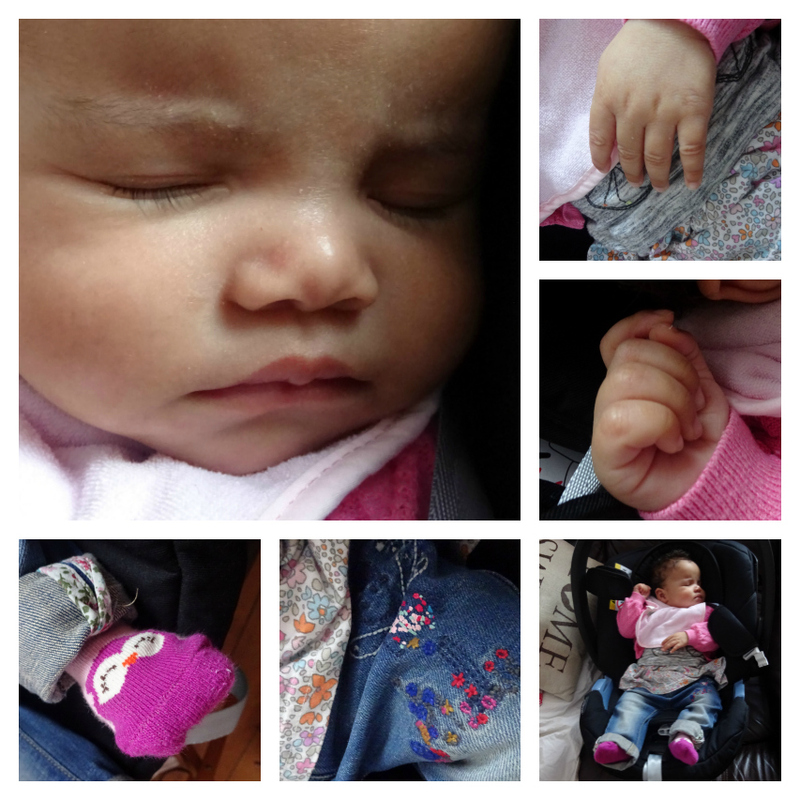 I'm a bit scattered when I arrive somewhere when travelling with a baby. As I told Charlotte at the movie screening, it takes me a while to "land" when I arrive. At Thomas Land I made the mistake of trying to say hello to people whilst still full of adrenaline - they must have thought I was wired LOL. 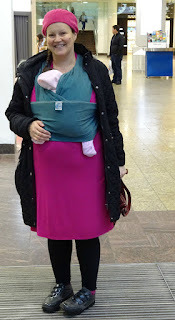 Lil lady slept in the sling, on the way there (as it was easier to navigate stairs on London transport without her in the pram) and continued to sleep for the first few hours that we were there. 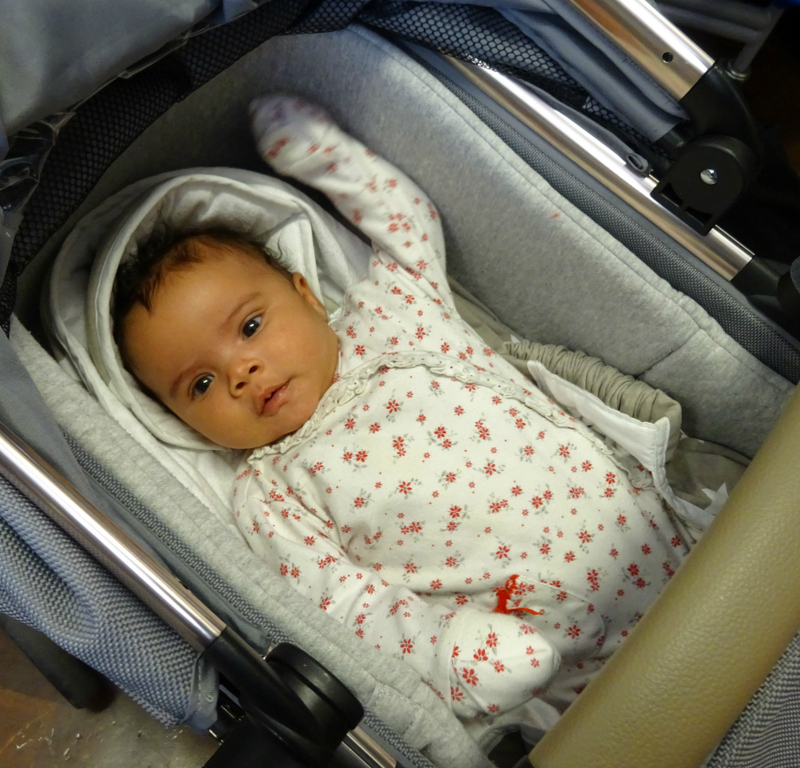 She then woke, fed and couldn't have been more happy in her buggy. I even listened to lots of Vitamix presentations without her fussing as she was just looking up at lights and listening to all the voices, utterly fascinated. 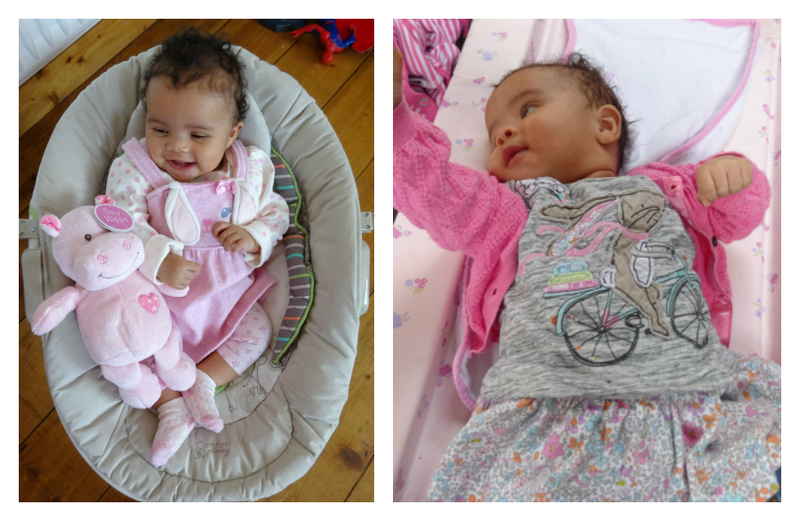 As in the photo above, below, I am using my wonderful Wuti Wrap from We Made Me. 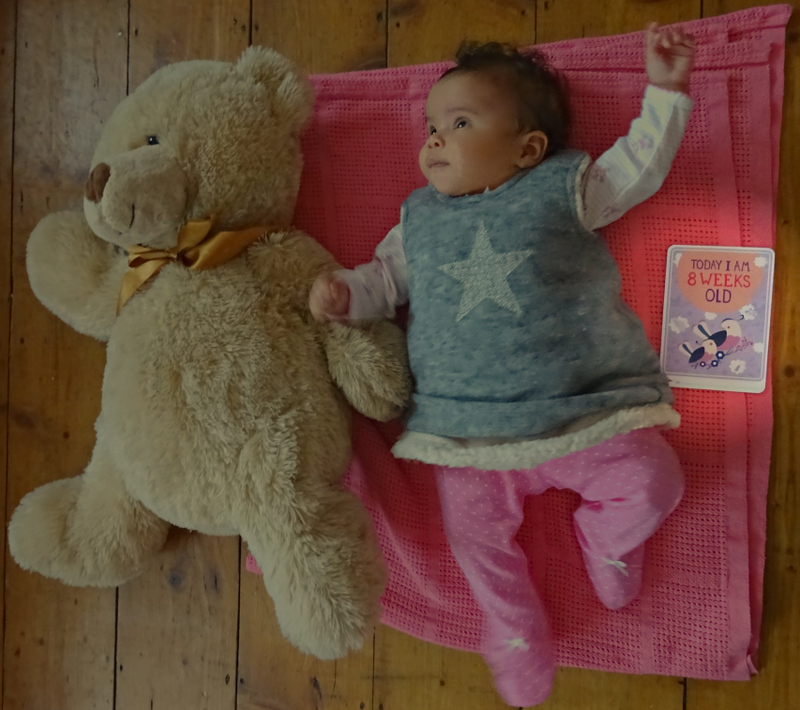 If you would like to know more, I videoed it being demonstrated at The Baby Show back in October, when I fell in love with it and then a few weeks later, after chats on Twitter they sent me one to review. I adore the breathable lightweight fabric it is made from. So that's it really, a brief summary of the last ten weeks, which now gives me permission to write current posts from now on, in a timely manner, that can be cathartic as they'll be what is on my mind at the time rather than me scratching my head to remember the past, as recent as it may be. 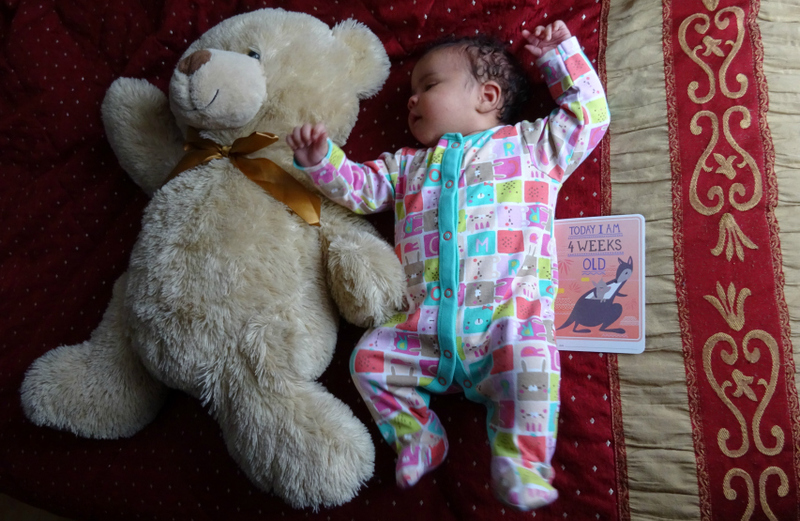 I cannot believe she is ten weeks already. She is gorgeous! She is so gorgeous! Those first few weeks are such a blur aren't they? I am only just truly getting back to normal now that my baby boy is 6 months old this week! What lovely memories for you all to look back on. I don't take enough photos of the kids. Yoour photos are adorable but that one of them holding hands made my heart flutter!! 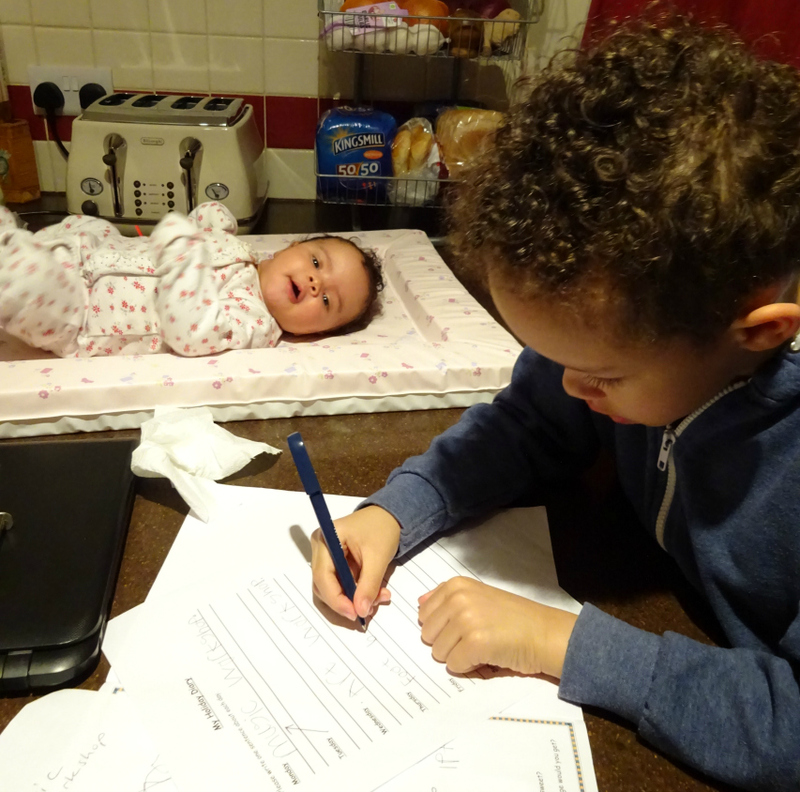 I also love the one of her watching Aaron doing his homework - too cute! It's wonderful they've got such an instant bond and I have no doubt it will continue. What a lovely family you have.